Hello, I hope you are looking forward to the week ahead, I am full of the cold and I have no energy to do anything, reading blogs and drinking plenty of tea is definitely on the cards! I will hopefully be getting my new laptop today, yeeey, I'm excited! I hope you like today's product review, let me know what you think! 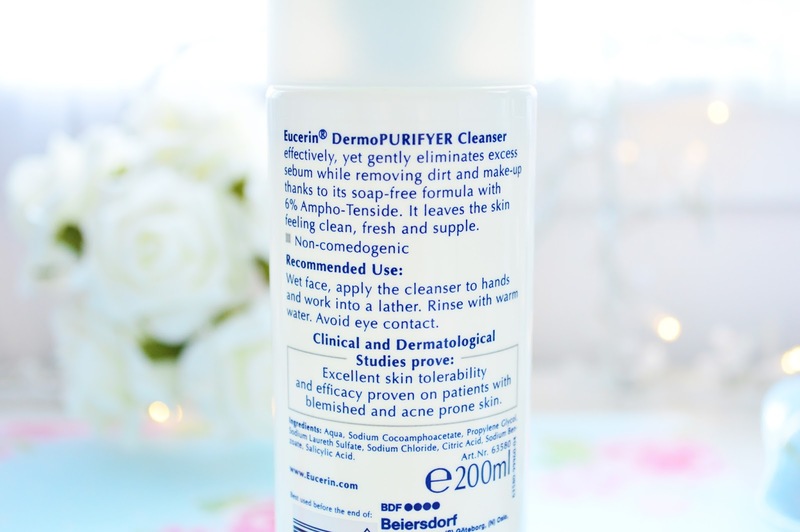 I was recently sent this cleanser from Escentual, when I first used this product, my skin was in the middle of a horrible breakout, I hardly ever get spots but if I do I only get one at a time, this time I had about 4/5, one of which lasted an entire month (it was so sore and horrible!). 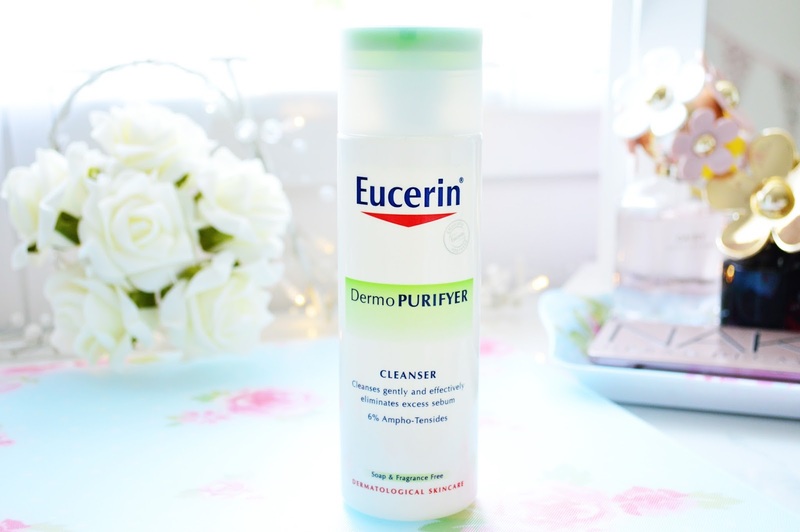 So I was a bit dubious about trying out a new product on my sensitive skin,especially from a brand I had never used before, however, I am so glad I did! 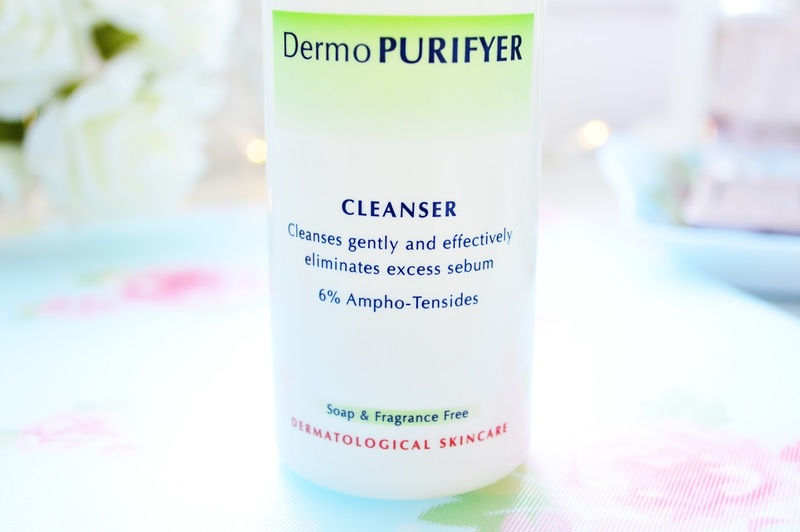 I was pleased to read on the back of the bottle that this product has 'Excellent skin tolerability and efficacy proven on patients with blemish and acne prone skin' so I felt confident that my skin was being looked after and it wouldn't get any worse than it already was. This product is soap and fragrance free which is great for sensitive skin. It removes any dirt, makeup & excess sebum (excess oil) from your skin. 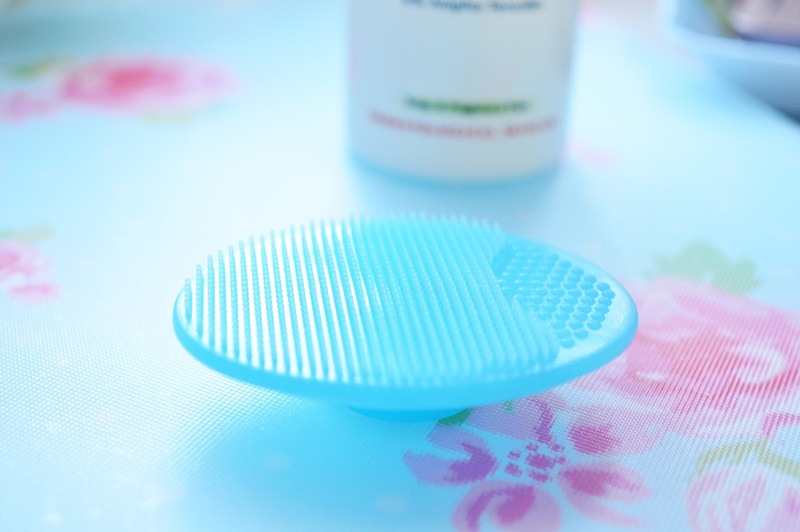 I use it by wetting my face with warm water, I then squeeze a 50 pence piece size of product onto the blue rubber exfoliator (pictured above, which I got free in a recent Avon order), I rub the soapy gel into my skin for about a minute, then I run warm water over a muslin cloth and wash my face with it, I gradually remove the cleanser by rinsing and repeating this step with the muslin cloth until my face is fresh and clean, finally I pat my face dry. Hmm, good for sensitive skin? I might have to give it a go! Hope your cold clears up!